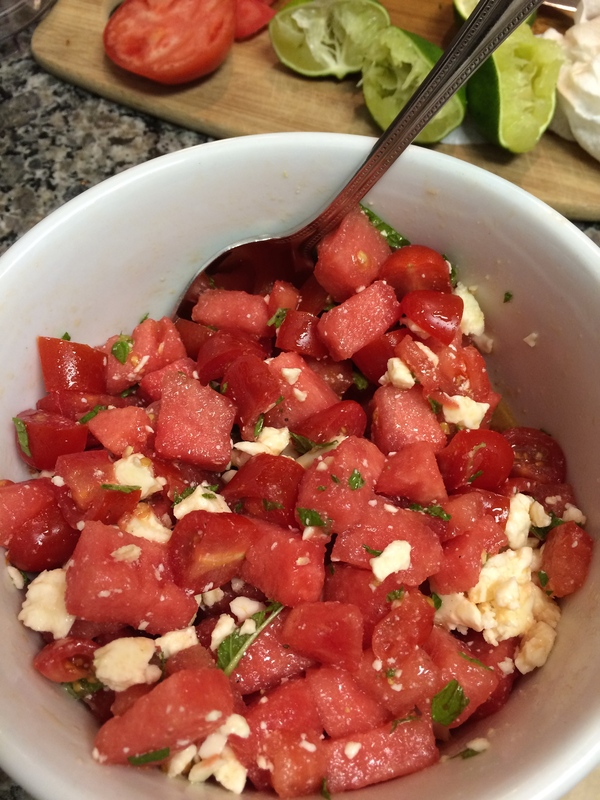 Tomato, Watermelon, and Feta Salad, a la Pinterest. Hydrating, cold, sweet, tangy, salty…perfect for a 95 degree summer day! **Mint- homegrown!